Each year our editorial staff looks forward to the challenge of finding the best places to live and work in America. There are so many spectacular locations throughout the United States that offer professionals great employment opportunities and at the same time provide a lifestyle that is conducive to being either single or for raising a family. Choosing one locale over another is never easy. 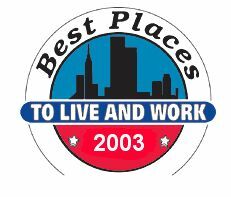 Our 8th annual Best Places to Live & Work in America features cities that in some instances are best known as great college towns while others are known because of the institutions of higher learning in their cities. Each location is unique, but each shares in a commonality of solid community economics, substantial job growth, good schools, recreation, cultural events and much more.